Search engine position tracking has never been so easy or free! Update: Remove row (keyword) limitations by using the Pro Sheet. As our special gift to you, use promo code RANKTANK-L1L831I8 for a free trial of SEMrush Pro, valued at $99.95 courtesy of RankTank! Set this sheet up to run on a schedule, and you’ve got yourself a free automated SERP rank checker that’s totally free! Automate keyword ranking reports, track and set alerts on Google position changes, and get a full understanding of what keywords you do rank for on Google – and where – totally free! Where do I rank on Google? This free SEO tool will let you check keyword rankings relative to your domain, right inside of a spreadsheet. There’s a lot of free keyword tools out there, but this tool is completely open and transparent. All of the code is right there for you to view, modify, and tweak to your needs? Create something cool out of this? Hit me up and let me know! This is a excellent stuff for check all keywords position and backlinks source. Hey, how many keywords can it crawl for at a time? Does it work like the keyword planner on google? I need this for my websites keywords for my outdoor website. Does it re-scan the rankings every time I open the file? If it is not, what can be done to scan. What is not working, please explain? Hey Olaf! I just tried it with Google.de tracking Amazon.de. Does it give you an error? What domain did you try to track in Google.de? Thanks for that Amazon tool. Is there a way to let it check Best -200 search results? Hi, I think you mean Google tool. You can try the Pro or Elite versions which can do thousands. Thank you! !I was looking for such tool long time.Great work!! Thanks for that great tool. Is there a way to let it check TOP-200 search results? Hi Roland, yes you would need to look at using the paid for Pro sheet version. It’s a great tool. It helped me a lot to analyse keywords position for my website. Great tool. It really helped me a lot. wow! how you mass querying google without a proxy? cant google block you? or do they see the query coming from a google doc and so let you off. from my experience if i add say 1000 keywords … G will block me.. and give me a captcha to solve. are they dtecting my IP? That is a jolly smart solution to simple rank tracking. The beauty of this “rank tracker” is that it can be easily integrated into Google Data Studio for client visualisation. Its really a great tools for check keywords ! One of the best tool of keyword research, I found over the internet. Million of thanks to ranktank team. Thanks John, appreciate the kind words. Specific locations can be checked with the Pro “Local Result Keyword Checker” Tool. Its really a great tools for check keywords and help a lot to get rank in Google. Hi! Awesome tool. Thank you! i added some keywords, none of them crawled successfully. Love your software – Keep up the good work! Hi, I added a few keywords, but none of them were crawled successfully. I tried to copy and delete some keywords, but it didn’t help. Do you have any idea why it doesn’t works? Is there a possibility that a ranking is displayed in the Google Map Pack. This shortcoming would have to be fixed so that the ranking is displayed correctly. Nevertheless, Rank Tank is a great tool. hi there is it still possible to get the free rank tank tool that shows the ranking a keyword phrases for A SPECIFIC DOMAIN ???? Hi Philip, it sure is, just click on the “Open in Google Sheets” button on the page. Then click on “Make a Copy” to copy the sheet to your own Google account. I entered a few keywords but it still didn’t fit with google search…. These are live search results and may differ with each request. Maybe a silly question, but will subdomains come up as well as the main domain under “Ranked URL”? Thanks! Yes, they should also show as we match on TLD only. It is not showing our website ranking. Share your sheet with jaco at ranktank.org and I’ll check why. Awesome tool. thanks for sharing. Thank for your time to develop such great tool. Nice ranktank. Thanks for sharing this tool. Hii, m getting robots.txt error in search console can help me? SEMRUSH is a paid tool. Can you tell me about the free tool? Kwfinder is also one of the best keyword finder tool free for demo use. What an awesome tool! It works perfect! great share.. But it showing different rankings than other tools. Hi Shweta, yes this tool shows real-time keyword ranking, much more accurate than other tools. Semrush and Google keyword planner have always been my best tools for getting keyword ideas for . My keyword rank in google page number is 40. How to increase the rankings of my article? Really good for the keyword position checker. The new keyword position checker is working correctly. If you have an issue make sure you only enter the TLD without http(s)://. I tried to check keyword ranking. I am so impressed about rank tank. But it have limitation on the number of keyword rank checker. By the way, thank you for giving the useful information! Have a nice day! The free sheet has a limit of 100 keywords. The RankTank Pro sheet can accommodate 2K+ real-time tracked keywords for only $149/month, this also includes access to all the RankTank Pro sheets. The Elite account will allow for up to 100K keywords, but you need to contact me directly to discuss this. the sheet only shows the website ranking first on the SERP. It is not showing my website ranking and other columns provided like above and below are not working. Please only enter your TLD e.g. domain.com (not http:// or https:// or www). Is Version 16 currently not working? Released version 17 to resolve Google API issues. Thanks for pointing this out. Grab the new version and enjoy! Thank you! Really an awesome tool! Worked flawless first time! This looks like a fantastic tool, and I’m sure it is! However, are there any instructions anywhere? As soon as I plucked in my first url to track my position, the rest of the data in that column disappeared. Do I need to get an API key from Semrush as a prerequisite to use this tool?? It’s incredible, it’s smart and fast, it tracks the position right away! Lately i’ve notticed a few of Need to retry in the Live Rank column, but it’s very OK overall! Congrats for this awesome tools! hey sean. thank you for this tool. In the latest version (15) i only get “not ranked” no matter what i try (setting google german language deutsch). version 13 still works though. any idea why this happens? Hi Rene, looks like Google made changes then realised their mistake and reverted them. I have now defensively coded v16 to take into account both types of result sets. Please try and let me know if this resolves your issue? Hi Guys, it looks like Google made some API changes which is causing the keyword position checker to fail. I’m currently look to release v14 with a workaround for the problem. Please be patient as we’re working on it. I added version 14 as a *beta* fix making use of a proxy to fetch the result data. This may result in limiting from Google or even blocking so please keep me posted on how it’s working. Hey suddenly rank tank shows that my site doesnt rank anymore to no keyword at all. But if i google them, I can still find my site. What could be the reason for it? Is there a bug in ranktank? Or do I have a problem with my site? Is there a way to track the ranking for a specific landing page with this tool? Hi Leo, the free keyword position tracker currently only tracks domain, but this can be a future addition. How/where do I edit region to get local (city) results? One of the best free Google keyword position checker tools out there! thanks for suggesting the best keyword position checker tool. However, I have a keyword and it was 3 position on the first page. It was still 2 month. After two months my keyword showing 1 position on the first page without any additional work or SEO. Now I have a question that what kinds of SEO worked behind of this result? It’s a awesome SEO tool for us. Thank you. Nope, I don’t see a 3 digit position for a few keywords . I guess this tool checks for the domain on the first 10 pages of Google result. very good tools i am using it for 3 week.Hope to see new feature soon. so i have to open new sheets and add all the keywords, can i update the older sheets? You have to load up the new sheet Alex. Just added a new version 12 of this tool as Google API rankings we’re varying greatly on each sheet load. New awesome version of the Free Google Keywords Rank Checker Tool sheet (version 11) now available with many improvements including better updating, faster responses and revised links. Click “Open in Google Sheets” to get it now. Its Just awesome. Fastest tool. Thanks for sharing! Fantastic work, also the tools are very helpful. Thanks for great contribution to seo community. Do you not have your own keywords research tool? I’m still having an issue with Not Ranked showing for every domain I enter. Hi Andrew, please do try from a different Google account and keep me posted if this works! I’ve tried different Google accounts. Hi Hillary, please share your sheet with me via twitter or jaco at RankTank. I’m having a issue trying to use this tools in two of my domains. It shows me ‘not ranked’, but when i look at the SERP, its ranked. Can you help me? Hi Lucas, there is a bug with .com.br will look into this! Hi Lucas, this has been corrected. just knew, it is on the google sheet !!! I thought it would be like a software or something.. . Great job. It is working very fine; some of my keywords though were not crawled successfully but this tool is pretty much better and great compared to others I have used before. Can this tool provide a regular ranking update? Excellent site!! I have a question: How do i know which are the right positions ? The keyword position tracker with row limits removed can be found as a “Pro Sheet”. You can also check the Monthly Keyword Tracking sheet for those who are looking to maintain ranking history using SEMrush API. Awesome Tracker, but I can’t get it to work with google.de ? Hi and thanks for that great tool. But I do not understand – where is the code? How can I have a look inside code to modify? I would like to know if the tool is broken. I check a lot of keywords last month, and most of them had good rankings. And now the tool says that the entire list of keywords is not ranked. How is that possible? Would appreciate your help. It seems the tool is broken. It’s crawling forever for all my keywords and for several different domains. I’ve also tried your tool again (Open The Tool Here) but same result. Hopefully you can soon fix it again because it’s d*mn usefull !! I am not experiencing the same issue. Please share a link to your sheet in a tweet to me or mail me a few screenshots. Your tools is so easy to use but the tools using some problem. please correction it. Hi mustakin, tweet or mail me through a list of issues. I am using this tool for a year now but for last two months I am facing issue, It is showing “not ranked” for some keywords which are ranked on 2nd or 3rd page. Although I track 60+ keywords at a time and it takes only 15 minutes to update ranks for all. It is highly recommended and a huge request from the community to offer a premium version of this tool that can track keywords for multiple projects and an option to maintain record and export reports. Hi Rameez, we are working on this with RankTank.Pro. I just added 2 keywords one of which rank on Google at #22 and second was the domain it self. But both of them show not ranked. How is it possible when my site is ranking in google at #22 for keyword and #1 for domain it self. Why the ranking is not shown. Hi Amit, please ensure you are only entering the TLD without http(s) or www. Can delete my comment…just saw the tweet reply. Looking forward to pro version. Hi Guys, I released version 9 of the Free Google Keywords Rank Checker Tool. It now respects language and regional data in API requests. Thanks to @_ThisChris_ for pointing out my oversight. Hi, is there a limit to 100 kws (mine stop at row 111)? I am dragging down the cells but its blank. Any help would be greatly appreciated and would be happy to paypal donate to help keep this tool kickin’. Been using Rank Tank for a while to check my keyword ranking. Last few times though that i have been in it has all my keywords as not ranked. Even though if I go to google and use those same keywords I can see I am #1. Thanks for keeping this great tool free and up-to-date. Unfortunately, I can’t get it to work past row 110. Any ideas? 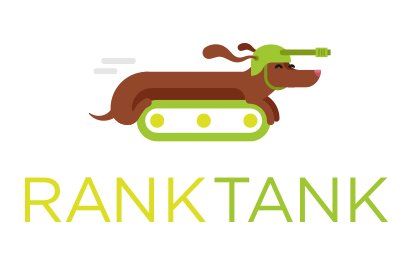 Hi Benji, as discussed I will release RankTank.Pro soon which will address current limitations as well as providing awesome managed SEO solutions. Yeah, seems like it’s not working anymore. Is there an approximate delivery date on the fix? You are amazing! I love you!! Might be a great tool, but unfortunately it does not work for me. For some Keywords it sais, it does not rank (but it does on position 1) but most of the keywords are crawling hours for hours and nothing happens. Maybe it doesnt work for Germany? Great tool, I had used it for the last month and It worked ok. I tried login out and login in, but it still does not work. Hi Cristian, this may happen from time to time as Google chooses. Please allow some time and try again. Wow dude … totally impressed that this even exists. Thanks so much for making this available! Very nice post, this keyword position checker tool helps me a lot from time to time. Hey Jaco! Thanks for the update. Could you please explain the “new way” that this sheet gets rankings, and how location data plays into it? I noticed a few comments above talk about how the location of the server (California) affected ranking results in the sheet, and I wanted to know if this was still the case. I just want to make sure I’m understanding the data I’m looking at since the data can vary a LOT based on location, user history, etc. Hi Hillary, the server would not play a role as the data is obtained by crawling country specific Google locales directly as Google itself. The results should be 100% correct based on location. Excellent tools, I was afraid when I get error. Now perfect and exact results showing. Thanks for creating awesome tool in the web. Oh man. I have been looking for at tool like this for so long. Seems like everyone today jumps right onto the business wagon with their software. I have tried using your spreadsheet multiple times to no avail. What is wrong? Your website says you updated it in May 2016. But – It’s still not working. Hi Cheree, the spreadsheet is updated and working better than ever! Is is possible to check rank for Persian language ? this website support UTF-8 ? I love your keyword-position-checker-tool, thanks for sharing. I was using older version of ‘keyword position checker tool’ which was superb. But this new version is not working at all. Just showing ‘not ranking’ for any keyword. Even for website name used as keyword. Can anyone help me in it? any instruction? Thanks for previous version. Looking for help on new version.. Thanks a lot Rank tank team for their awesome products.. I have added 100 KW but none of them been crawled and i am still waiting for it. Any help would be apperciated. RankTank keyword positioning tool isn’t working… it it just me? Hey Marilie, the tool is working fine for me at the moment. I would love to be able to use this tool as it sounds amazing. Really hope you can help. I’m still getting no data. It says “not ranking” ….however, that’s not true. I’ve tried it with multiple domains and a variety of keywords with the same results – and I know their current rankings, so “not ranking” is not accurate. I can’t get this to work at all. I update the domain and enter keywords and all it ever returns is Not Ranked. I tried keywords I know I rank for and some blatantly obvious domains and keywords that would rank as well and those appeared the same with Not Ranked. For example, espn.com doesn’t rank for ‘sports’ according to the tool. Do I need to configure something? i think it’s still working, it just need some updating. Copied the sheet, inputted my site URL and keywords (no SEMRush API) and the results for all of them are “not ranked” which is not accurate…How do I get the tool to refresh/update the ranks? Or otherwise display what is correct? Hi Jason, this should be working fine with the SEMrush API. I’ve tried this for 2 of my domains with keywords I know I rank top 3 for but it says not ranked. Set for UK. Any ideas?! I continue to receive “not ranked” in a gray color within the tool, can you help diagnose? Does the rank checker us the user’s ip address/locality? You guys are amazing, this tool has helped me a ton with finding my domains positions on Google. Thanks. Please clarify if the Semrush API Key is a once-off purchase for $15 or is it $15 per month. Need to retry on all keywords. Even if I download the sheet again the already inserted info is saying need to retry. Deleted multiple times. Got also on every keyword “need to retry”. When it works it would be a awesome tool, everyone has a versions that works? Is there any update on this? Thanks! SEMRush API Key goes for how long? Getting “Need to Retry” on all keywords. Does this spreadsheet still work? I am getting “Need to Rety” for every keyword. Have tried deleting and pasting back in, logging in and out of Google, changing domains, copying the sheet again. Please let me know if there is anything else I should try. You are freaking AWESOME. I’ve been looking for an automated rank tracker for a long while – in fact, your tool works so well that there is no more need for a 3rd party service. Thank you! I am seeing the “need to retry” on almost every keyword, have deleted, signed out and tried again. Any thoughts? Thanks for the help and thanks for the tool! Hi Sean, Love the concept and thanks for the tool. However I cannot get it to work getting the “need to retry” every time. I signed off and on again, deleted and re-pasted, etc… Nothing. Any thoughts on how I can get it to work or is there a newer version? no matter which Keyword I type in, I get allways “Need ty retry” back. Are you working out a bug for Keyword Ranker? Other tools work fine but in the Live Rank column on this one it’s always saying “need to retry”. Not just for my keywords but for the Zappos example. Hi Blake, this bug has been corrected and the keyword ranker updated to work even better! This was a bug which is now corrected. For improved performance please consider the SEMrush $15 API. Was using your Keyword Rank Checker tool for few month and despite few dependencies was very happy. But suddenly about month ago it stopped working completely. Despite amount of keywords or internet connection all i get is “Need to Retry” for every single keyword. Is there any ideas suggestion? As digital marketers, we all know that the right tools can make a big difference. They can increase our efficiency, help us collaborate, and organize everything that’s going on. With the help of these tools, we can do our jobs better.Thanks for developing such an awesome tool. Getting “Need to Retry” on all keywords and “No API Key” in the MSV column. Does Google block your tool? Hi Sean, I just started using this amazing tool. I set up the semrush api at field 9 but when I add 1, 10, or 25 kwrds for my domain and google.co.cr for Costa Rica it says Need to retry. Hi Sean, any update on this? Really awesome tool. I used it at office to check ~3k keywords and the five random ones I checked for accuracy gave like a 2-3 position discrepancy, which is more than tolerable. However, I have a weird problem. I can’t get the tool to work on my home computer. Every and any keyword I add to the que times out and says to retry, but no matter how much I retry it never actually crawls it. I’m grateful for any help. I really want to keep using this tool for my personal projects as well. Thank and cheers ! I trust that this it best tools, because it is very simple. But it not support for my country (google.com.vn). Now, when i copy your sheet, it is not work. Please check or update. For me too, I always get “Need to retry” since yesterday (23 Nov 15) from Singapore. Is it a bug or Google stopped it? I am also getting “Need to Retry” on all keywords, I have tried many different Google domains as well. None is working since yesterday. Great! Keep up good job. I’m also getting the “Need to Retry” every time now. Wasn’t before. Nothing’s changed. Try multiple times to paste in keyword. Re-downloaded your beta 4 also. Is this broken? Thanks for sharring your KW Rank tool. – Can you help / fix it ? Supertool I’ve been looking for years after something. Hey Sean. Really great tool. Unfortunetly, everything worked fine the first 3 days and since, it just keeps saying “need to retry” for every keywords when I open the sheet. Is there anything i can do to change that? My ip is good in the FAQ, i haven’t changed any script. I tried to copy the file, same thing. Tried to delete a lot of keywords from my sheet, no change at all. Maybe is it because i left the sheet opened all day long yesterday? Is there a maximum number of tries? Am i banned in anyway? Anyway, thanx for your work and your help. Your tools are really awesome! Not sure if the tool requires an SEMRush api key, but every keyword I have tried says “need to retry.” I have logged in and out of Google, and have tried to delete and reenter the keywords multiple multiple times. Thoughts? Hey Michael! What Google country are you searching on? Hello Sean, and thank you very much for this awesome tool. I’ve used it happily for some weeks but now, suddenly, it won’t work. Every keyword displays the “need to retry” message, no matter how many times i cut and paste them, or log out and in into my account. In addiction, the “need to retry” box promptly appears in like 1 or 2 seconds for all the keywords at the same time, unlike in the past if a keyword failed it took several seconds to give the error message. So I worried that google changed something in the way these requests are managed to avoid people using such kind of tools. Just bought the Semrush API, but I get a lot of “no data” or “#N/A” in cell’s and just 2 correct rows with data (out of 16 keyword rows). Any idea what the problem could be? I have enough credits for the API: 299000. Thanks for the great tools on your site! I just wanted to say thank you for this tool! I’ve been looking for something like this for years! thanks for developing this tool. However the localization does not seem to work. For google.com or google.hr i get results, for google.de, google.co.uk, google.fr..I get “Need to retry”. I would love to use this tool. thanks für the quick reply. Google Docs says “file doesn´t exist”, has the file been removed? I think I’m going to try this tool out, looks cool. Hi I just tried the tool and it’s awesome. Some of the keyword positions are not accurate, I think that is due to location set in the google settings. I hope soon you add the location (city/zip) with the tracker. also is there any limitation on number of keyowords and sites this can track? I have more than 50 sites with all over 3000 keywords to track daily. any solution? Thanks and great effort ! Awesome tool… I read through all the comments and saw quite a few mentions of people having issues with “Need to Retry”, but it is happening for the majority of my keywords. Tried posting in smaller batches, but still keep getting the message on a bunch of the keywords. Trying to keep track of around 300 keywords, and if I have to manually copy, delete, paste for each of the ones that don’t work, it will take hours. Any suggestions? Is there any way to make the doc continue to retry on it’s own until it gives you data? What about a button that retries all the cells that “Need to be Retried? To clarify more, I am using “Google.it” as locale engine. Hum… I guess I have been banned by Google, because now I always get “Need to retry”, also for one single keyword… Maybe Google became smarter and now avod such scraping through itself… Can you check it, please? Hey Francesco! The beauty of using Google Sheets is that it doesn’t use your IP address 🙂 It uses an internal Google IP address instead. Sometimes Sheets just goes slow when it needs to make a lot of pulls. Yes, you are perfectly right, my apologizes…now it works again and very well! Thanks! PS: I also added conditional rules for background colors! Your tools are really powerful. Sorry Sean, I have again the same issues about “Need to retry”… No data are scraped. I erased and pasted ten times the keywords (also only 1 at time), it does not work for me… It works sporadically only. Well, finally I found the culprit! I had some duplicate keywords in my list… that way it does not work and you will get the “Need to Retry” error. Now it finally works as it should and it is awesome! Dude, thank you so much for figuring that out! About this Keyword position checker, is there a way to add some formulas able to highlight results with colors based on rank positions, please? So, for example, green background color for results from 1 to 10 positions, yellow for results from 11 to 20, orange for results from 21 to 40 and so on, please? Just to have a more clear overall point of view. Domain and localisation are set right. What to do? Thanks for help. Is there any way to use this tool as if the queries are being run from the location in my Google settings? For instance, I generally swap out location settings to test keyword performance across different areas in Northeast Ohio. Awesome tool! One question though, does the scraping take into consideration Places and PPC? Because I’m seeing some differences in results I’m getting. For instance, I search for “example keyword” for example.com. The tool says that I’m on position 20 in SERP, but when I do a manual search (non-personalised, clearing cache and cookies, etc.) my site pops on position, let’s say, 11. If it does count Places and PPC, what could be a possible workaround? Hey Jack, it’s actually searching from a Google server in California, so take that into consideration 🙂 Haven’t figured out a way yet to get around this in Sheets. Oh, California. Is it possible to use a different server? Since I am currently in the UK and use it to check UK websites in google.co.uk. Won’t that provide better accuracy? Since you’re in the UK, you’re probably getting an IP address from a UK data center actually. Hey man, great tool. I’m having some problems when I enter a localized google (www.google.hr), retried like 20 times and nothing. Any info on that? I do have an issue in the: “This tool won’t ban. your IP. It uses a Google internal IP, shown below!” section. Thanks William! Should be fixed. For some time now, IP Used shows: #N/A nd I can’t get any resaults what so ever. Is there a workaround or can I use other IP instead? Hey David! It’s fixed 🙂 Took the IP display out for now, but it’s still using the internal Google IP. Thanks Mike! Really means a lot! you are a genius. This works great, if a little finicky. The ip thing at the top right doesn’t seem to work, but it’s still checking the keywords, and when testing it with keywords I know rank well it showed them as I was expecting them. I’ve used many keyword position tools before, and this is the first one that’s actually worked. Thank you very much for the awesome spreadsheet, if there were more like you the world would be a better place. I have used this for several months now and it was working fine. Now not so much? Any helps with this? I keep seeing NO API KEY? Is your SEMrush API key still active? If you share your sheet with me – sean@circlerank.com – I’ll be happy to take a look. I can’t seem to get this to work for some odd reason. Hmm, what’s it doing exactly? First of all, congratulations for the App! Hey Alex! It should be working now. Is it working for you? Thanks! friend it is great tool. but wanted to know why it showing some wrong ranks for keywords. Thanks! It’s probably location influence. What bad results are you seeing? Is there a way to tap into Google’s location info? Thank you. Not that I can figure out yet. If you have any ideas I’d love some help with that feature! I tried to buy API at SEM Rush but it’s 70$, How can I buy it for 15$. Did you try the link in the sheet? It should take you to the $15 page. This tool doesn’t seem to be working with my domain, http://www.leagueofsmurfs.com. It never finds the position. It also doesn’t display the positions for zappos.com. Hey Adam, could you share your sheet with me? I’ll check it out. Share it with sean@circlerank.com – thanks! So this tool is awesome. But the last two days it keeps reloading and telling me that Safari went down. Any advise? Hey Corey! This tool is in a Google sheet, so it shouldn’t be crashing Safari. What version of Safari are you on? Have you tried this on Chrome or Firefox? Thanks! Thanks for sharing it, its a woderful tool..
Sean, have you found any solution of the issue with http://www.realip.info/api/p/realip.php ? Hi, graeat tool and thanks for it! I have an issue….The “IP Used” cell shows an error: “Could not fetch URL: http://www.realip.info/api/p/realip.php” How can I fix it?? What’s the highest result number before being listed as “not ranked”? It should go up to 100/101 before it says not ranked, depending on SERP structure. Such an awesome tool, I use it often and have incorporated the data into a lot of other research methods. Today it seems to be stuck. I’ve got about ~500 keywords I’m playing with and I’ve been copying and deleting, then pasting in my keywords, but it’s stopped working, and I still have about 200 keywords I want to run data on. Everything just saying, “crawling”. It’s from a copy I made from Rank Tank today, so it should be the most up to date version. Any help is appreciated. Thanks! Hey PJ, did it start working again for you? It should be fixed. Hey Matt, it should be fixed. Is it working for you now? Facing same problem here. All of the keywords showing Not Ranked. Can you please help. Hello! Love this tool thank you so much for sharing it. I noticed the hidden IP is missing now and I am getting all ‘need to retry” responses. Is this something that can be fixed? Thanks again for sharing, it is awesome. Hey, thanks for this tool! Have been using it for a while now and it’s great. But recently it has stopped working? It doesn’t seem to get the Google Internal IP, and wont track anything. I tried making new copies of the file but no luck. Is it down for the time being? Doesn’t seems to be working any more… Google IP is showing as #N/A and all the results Need to Retry and doesn’t work even when delete and try again. Great Tool! Thank You! If I wanted to search as example the results for keywords in the local town of myrtle beach how would i set the Google Localization for doing search as if i were in myrtle beach sc? Your google keyword ranking tool is absolutely amazing; however the last few days it has not worked and I see the error: could not fetch url: http://www.realip.info/api/p/realip.php. Is this because you are experiencing problems or have I somehow corrupted my copy? I REALLY like this tool. I’m wondering if you could add alternating colors to each row so it’s easier to analyze. That would be super cool. Your tool is absolutely fantastic! Can’t wait to try the updated one. You rock. Keep it up. Thanks for sharing this wonderful tool. It’s a great help. Just one word – AWESOME! This is a master piece. ¡Congratulations! Damn, this could be really useful. But, for me, it just keeps saying “need to retry” when I add my keywords. Oh well, maybe I am doing something wrong. Hello and thank you again for this marvel of ranking tool, still using it (beta3) – have issues with 4. 1. To insert another column next to “live rank” column, and add a button in every cell related to keyword – assign this button to a script performing “select+copy+delete+paste+enter” – as this we have to do when it hangs… in batches or individual keyword. Then it is stil semi-manual. 2. Same as above, BUT with no action but TIMER/TRIGGER with eg. 60 seconds until executing this script. Looking forward for any more ideas – community please step up and help and support the author giving this for free ! First of all. THANK YOU! What an awesome tool. Really appreciate a tool like this that is available for free! A thought I had. Most of the clients I work for only do local businesses. Is there a way to tap into Google’s location info? Even in you had to type in the city or zip yourself? I realize this may defeat the purpose of running the searches off of Google’s servers if you have to use your IP, but wasn’t sure about added in a location manually. Gosh, YES PLEASE!!! I just posted a message about this. Would love to see this because I generally track 3 geographic locations for a particular client. Thank you so much for taking the time and effort to develop such a valuable tool! I’ve been using it for a couple of months, but recently ran into trouble: the tool either won’t crawl at all or it will deliver a “need to try again” message. Ocasionally, a couple of keywords will register. Hmm – I think it’s Google being slow, and the sheet timing out because of it. With all the updates, wouldn’t be surprising. I’m watching it though! Keep getting Need To Retry even in small batches of 10 kw. Hopefully you can fix this problem because your tool is awesome ! Nearly all of my keywords get this response, too. Is your SEMrush API key still active? Hi, The tool is priceless and idea is trully out the box! May force be with you to keep it going and improving, adding new features. Seems that *V4 update does not work properly *also at my end. Beta 3 does. Noted 2 clicks trick when it stucks at “crawling” – select keywords, delete and UNDO, works as well. Thanks for sharing this awesome tools! Thank you so much for sharing your knowledge. It’s nice to know there are friendly people out there! I do have a question though. Is there a way for me to check rankings from a specific location? For example, I’d like to check ranking for the keyword “puppies for sale” that are done from Sacramento, Ca. Is this possible? Awesome tool. Can this tool track up to Rank 200? It says “need to retry” for 90% of keywords I enter. Deleting and reentering them does not seem to help. Sometimes Google is just running slow and and the sheet times out. When this is the case, trying the keywords in smaller batches can get around it. Nice tool. It seems to work really fabulous. However, I can’t seem to verify any of the results at all. As an example, keyword = luxury interior design miami using domain = perlalichi.com. Result is #48. I know this can vary but I don’t see the result on any of the pages returned after going through all of them. I was using IE in private mode as well as normal chrome mode. Seems like the tools isn’t working anymore. Tested with the older versions I have as well, none of them work. So now I can’t compare the ranking position from earlier. Help! Hope you can find some time to look into this. It is just stuck at “crawling”. It doen’t crawl a single keyword, it is just stuck. First thanks for such a wonderful tool.. none can imagine that this kind of tool could be made. Genius tool! It’s working very well and I’ve been able to implement MOZ API to automatically scrape the Domain Authority of every URL that’s ranked 1st. One question I have is….is there anyway to automatically skip a result if its an images.google….. or maps.google…. result? I have a problem with the tracker. When I put in the keywords they all just turn to 0 MSV. How come this happens? Ive tried to log out and back in, delete and paste in the keywords again . Same thing happens? Hi there! Did you put your SEMrush API key into the document? Thanks Peter! Could you share your version of it to me at sean@circlerank.com with edit rights? Happy to take a look. Thanks a lot for this awesome tool!!!! However, I’m unable to make a copy of this document and run on my PC. Can you please help me here? Thanks! You’ll need to have a Gmail or Google Apps account, and be logged-in to that account to make a copy. Pingback: Google Docs online rank checker? Where have I seen this? This is genius. And it actually works. Log in & out of your Google account; paste 200 keywords at a time; get results in 30 seconds; rinse & repeat. This tool is a hell of a lot better even than $200+/month cloud reporting tools. I do not know much about this spreadsheet, there are many functions, so what function should I install a triggers. Can you guide me? Thanks so much ! How can i know the positions are right ? The sheet is pulling them directly from Google. However, location may skew results somewhat, as the results are pulled from a California IP address. Hey Vish, when a Google Sheet grabs a URL, it does it from a Google internal IP address and not yours. It’s really awesome! First off I would like to say this is awesome! I have been looking for a method to check my rankings as much as I would like without getting banned by Google. I do have one question for you though. Is there anyway to have the rankings only pull for my domain? 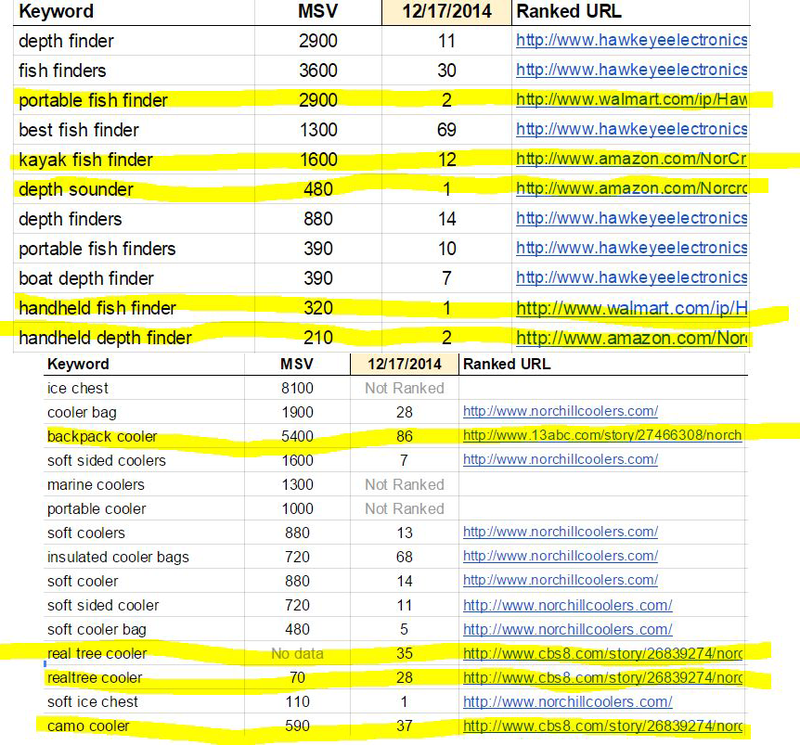 I have a few keywords that are showing up with the ranking and ranking URL for walmart or amazon. Granted they are my products but I would like to just have only my domain itself. Other than that this tool is epic. Thanks Again for releasing this fro FREE! Thanks Jess! I’d love to take a look at an example so I can see what’s going on. 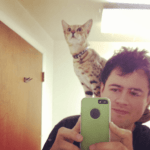 What is the domain and search query you’re using? Like I said granted these are our products and was our press release that was picked up but I would like to just see the domain ranking. Any advice would greatly be appreciated. Again this rank checker is epic! Could you send a screenshot of what you’re seeing to sean@circlerank.com? Here is a SS of both campaigns http://i.imgur.com/rT5FE6C.png. As you can see yes it is our amazon pages and our walmart products. Just wondering, how do I manage multiple websites in one sheet? Or I have to create individual file for each website. Hey Kinjal! You should make a different sheet for each website. Love the rank tracker. Pure awesone. Hey I butchered together a couple of scripts in google sheets, you could do a better job. Its a competitive analysis tool using moz api, plus a pulls in google top ten for keywords you suggest then via a couple of formulas lets you know if you are worth going for. Awesome! I’d love to take a look at it! Could you link me to it? Any chance I could get a copy of that spreadsheet you created? I’ve been looking for that type of tool for automated analysis. Thank you! Thanks a lot for an answer! Try to log out of Google and back in, and then copy, delete and paste the keywords back in. That usually refreshes the IP address that the doc is using. When a keyword gets stuck, simply copy it, delete it, and paste it back in the cell. This will force the keyword to crawl again. Really faster than copy/delete/paste : just delete the cell and restore wiht , may be used on multiple cells !